Posted May 1, 2018 by Seán Kinane & filed under Gun Control, News and Public Affairs, State Government, State Politics. 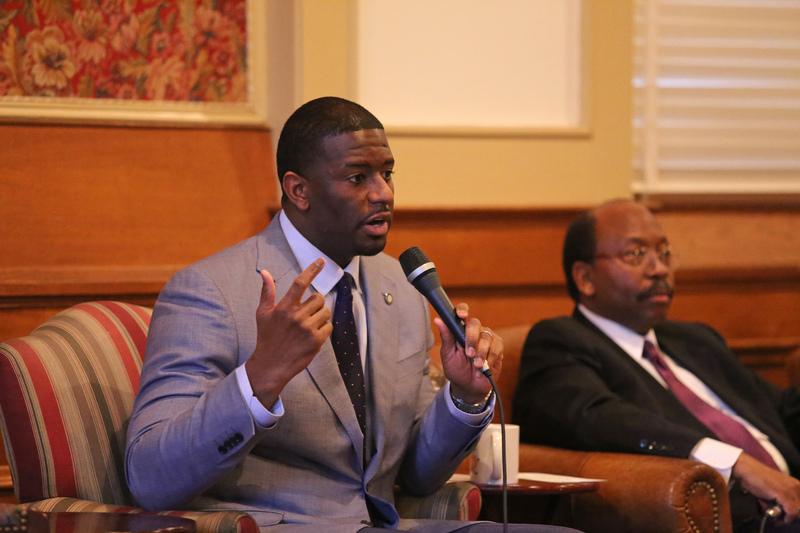 A progressive group in the Tampa Bay area has made its first endorsement in the Democratic primary for Florida governor; Indivisible Action Tampa Bay members voted to endorse Tallahassee Mayor Andrew Gillum. WMNF News interviewed the group’s founder, Christine Hanna. Hanna says Gillum’s track record on fighting the NRA may have led to the endorsement. Andrew Gillum received 82% of the votes from group members; Gwen Graham got 12% and Philip Levine got 6%. They also endorsed Bill Nelson to retain his seat as U.S. Senator with 93% of members’ votes; Tameka Lyles got 7%.